If you got a beautiful bonsai pot, what would you do? Though you could enjoy it just as a piece of art decorating your room, you would probably want to plant something in it. Even if you have never done bonsai or are just a beginner, you could have fun with your pot as a piece to create beautiful harmony with plants. This is my advice to enjoy bonsai pots for the person who hasn’t done bonsai. First, please don’t think that a bonsai pot must always have a tree in it. It seems that many bonsai enthusiasts think bonsai should be growing a (Japanese-style) gorgeous tree in the pot, however I believe that bonsai is just natural scenery expressed with plants and pots. Second, the most important thing is to enjoy yourself with the plants around you. 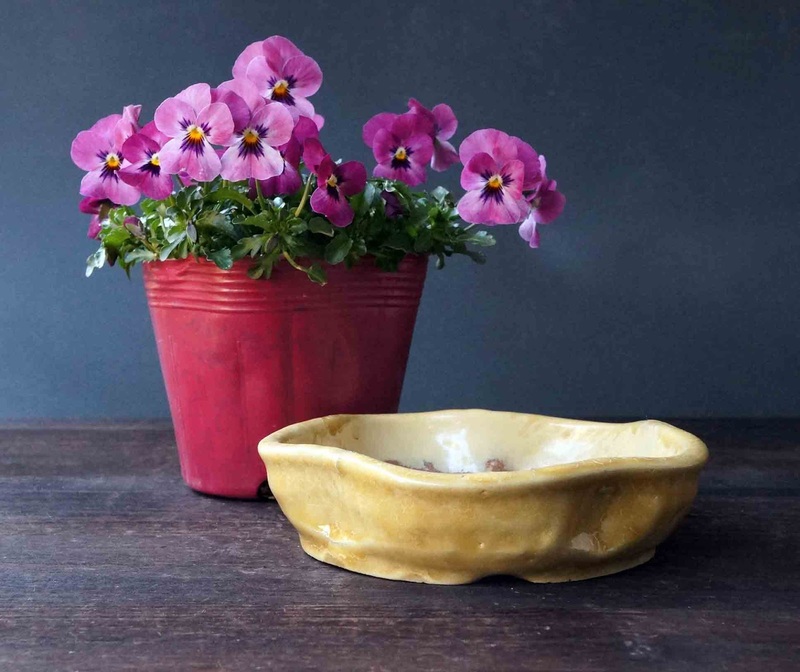 When I get a beautiful pot, I often ponder what type of tree or plants will suite it. Sometimes I go to a gardening store to get a seeding of the flowering plant and plant it in my pot. 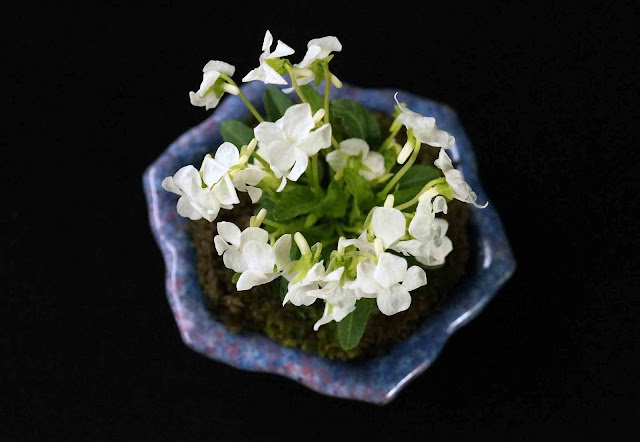 Japanese white violet in the hexagonal bonsai pot in sky blue glaze by Shuuhou. Third, to start with, and If you have no bonsai-related-person around you, I think it would be good for you to enjoy with some seeding of flowering plants that are easy to grow. 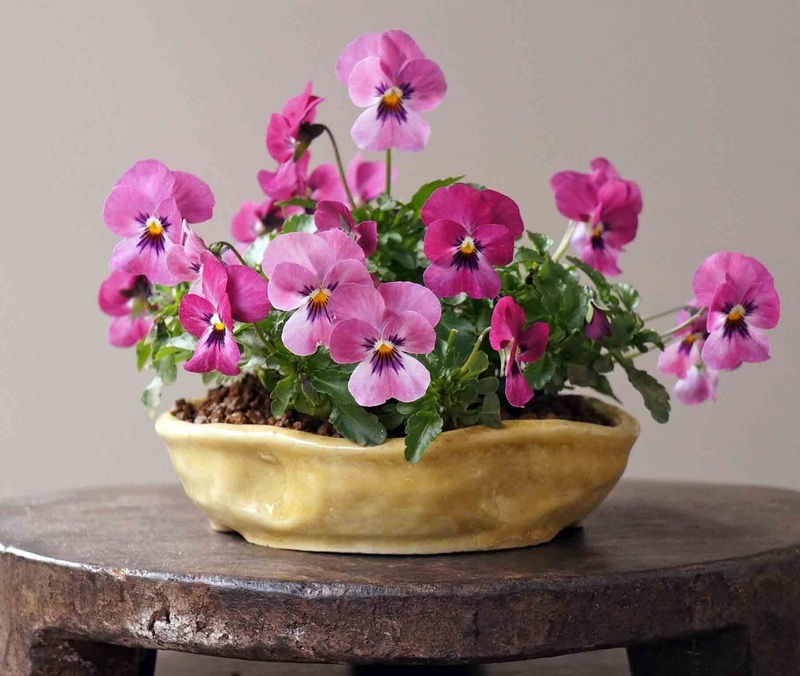 For example, in winter I think Pansy, Viola, Garden cyclamen (small cyclamen)......would be nice. If it is possible, please try to choose a smaller seeding plant that would be a good fit for your pot. The round bonsai pot in blue glaze by Shuuhou. The contrast with the red flowers of cyclamen is beautiful. 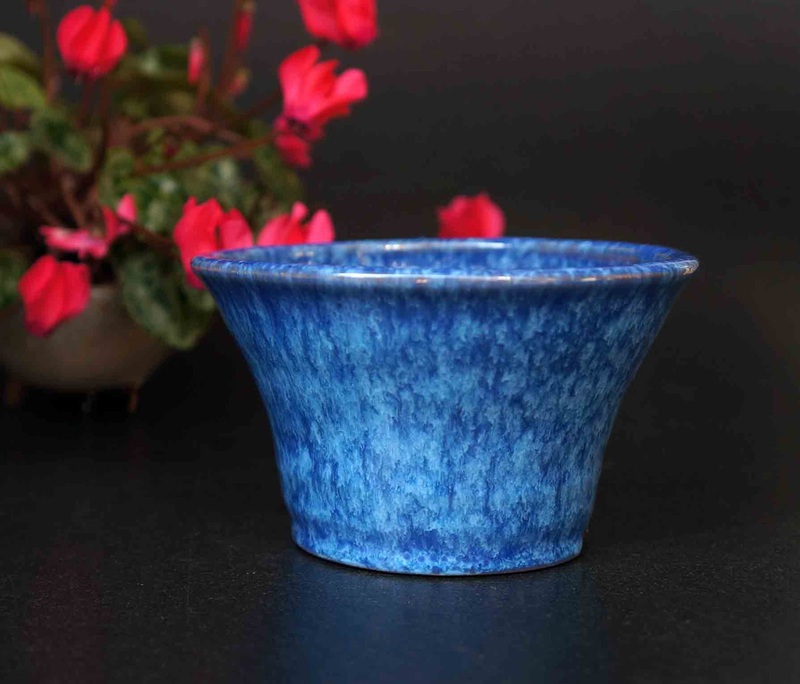 I know there are many people who aren’t bonsai enthusiasts but enjoy bonsai pots in their own way. Some people put some succulents nicely in a bonsai pot and other people plants small glasses in miniature pots. Hope you fill your pots with plants and enjoy them in your own way. I put a pansy seeding of plant in a lovely bonsai pot made by Shuuhou. It is definitely a kusamono bonsai!